A bank holiday is no longer just a day off work. Certainly within the underground house and techno scene, the bank holiday is predominantly a time for a big party. We've come to expect very good line-ups, be provided with more than your average amount of clubbing hours, and to top it off, we like to play outdoors in the sun. Luckily for us, Freeze ticked all the boxes last weekend, providing us with an exceptional Liverpool location. What's best about forward thinking Freeze is their penchant for thinking outside the box, having secured exciting spots such as St. George's Hall and The Bombed Out Church for their events. This bank holiday weekend marked their return to the Church, and to celebrate, they brought along Bedrock boss John Digweed, ENTER. favourite Paco Osuna and live performances from Henry Saiz (with his band) and Tom Demac for the after-hours. Stepping out of the train station and strolling up Bold Street, The Bombed Out Church and its tall tower can be seen from afar. The faint pumping of acclaimed resident Jemmy's deep and cheerful tunes oozed through the archaic walls, gradually getting louder on our approach. Once inside, the intimate arena was already filling up. And after a stress-free trip to the toilets and bar, we took our position on the straw in front of the stage. Before long, an impressive warm up from Jemmy led to the arrival of Digweed. The master set about proving why he's been such a success over his many years at the forefront of the underground house scene. The crowd out to see Digweed cut across a wide range of ages, bringing with it a strong, friendly, communal vibe and the sense that everybody was there for the same reason. As effortlessly as ever, Digweed mixed through deep, progressive tunes – both current and old – the infectious vocals of Filsonik's 'Dogfish' proving to be a highlight. All the while beams of sunlight poked through the huge, glassless windows, giving the picturesque surroundings an intimate glow. Digweed graciously handed over the reigns to Paco Osuna who arrived for his sunset mix. 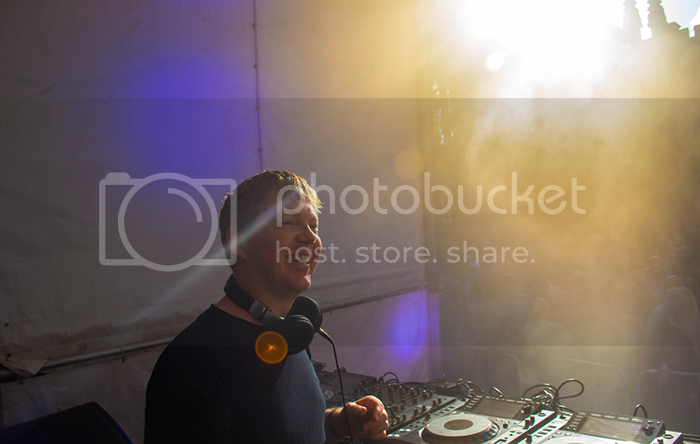 He wasted no time doing what he does best, blasting out signature, stomping techno and tech house. Thanks to the strategically placed straw, the holy ground quite happily took a bashing. Paco worked through an array of delayed, rolling clicks, chopped vocals and pounding bass that shook the Church's very foundations. It was a shame we were only treated to the techno for a short time, but in the interest of the local residents, it was only fair. Night fell and with it, so did the rain. 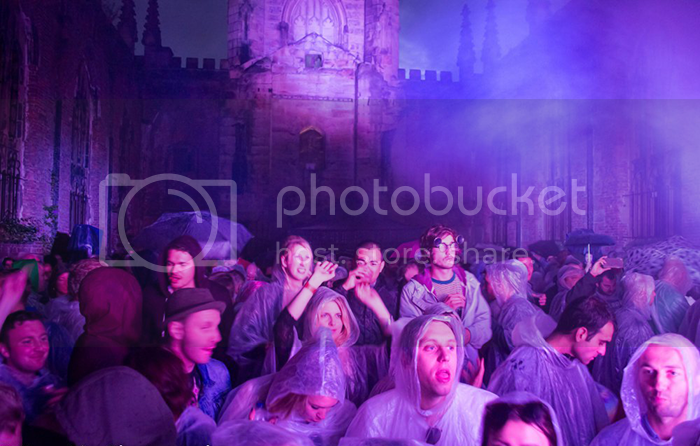 Luckily, the dedicated Freeze crew were on hand with ponchos aplenty and within minutes the crowd turned into a see of plastic ghosts; an ironic and eerie sight when you're dancing round an old religious landmark. Henry Saiz and his band took to the stage for what was an intriguing live performance. However, for those of us riled up on Paco's techno, it proved difficult to settle back in the mellow flavours of the deep. Regardless, bright, euphoric lights shining through smoke enhanced a good show of live music and vocals, keeping the crowd entertained; albeit ready to get to the afters for more stomping. The Garage as a venue was a pleasant surprise. From the outside, it's just a small door on a quiet street. Once in and downstairs, the small door turns into a huge basement; the perfect after party venue. 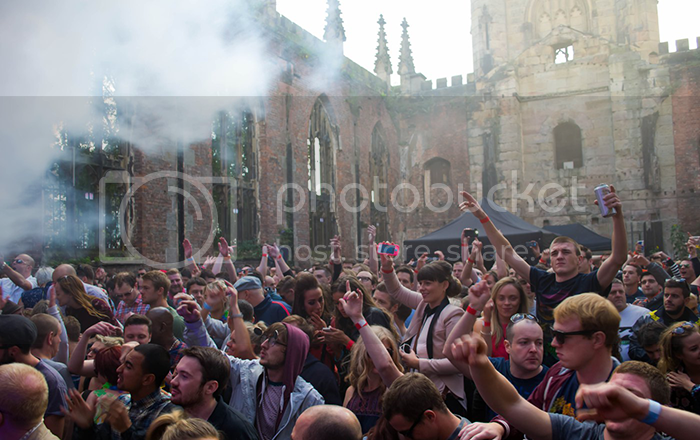 After 8 hours raving in a Church, things are bound to get hazy, but safe to say, the calibre of music stayed on point. The basement stayed busy for the rest of the night, right up until close. Jemmy quickly eased the crowd back into the action and later, Tom Demac served up an energetic live set keeping everybody on their toes. The name on many people's lips however was Paco Osuna. Upon taking up his position back behind the decks, he picked up where he left off, driving through powerful bass lines with tracks like Marcel Dettman's remix of Moderat's 'Bad Kingdom'. More of the same meant for a wholly enjoyable extended set and an excellent way to see through the rest of the night. After a day of top quality tunes from start to finish, it was the perfect set to end on. When the clock struck 5am and the lights came on, those of us still standing after the marathon left on a major high. Thank you Freeze for breaking the boundaries and taking us to exceptionally unique places to enjoy doing what we love the most, in style, afor doing it so well. Whether it be back at St George's Hall, The Bombed Out Church, or some other wonderfully exciting venue, we're most definitely looking forward to the next one!